Rather small thrush, with short tail and prominent bill. Male easily told by blue-grey upper parts and bib with white patch on back and dull red underparts and tail. In winter feathers of entire plumage edged dark and white producung a scalloped effect. 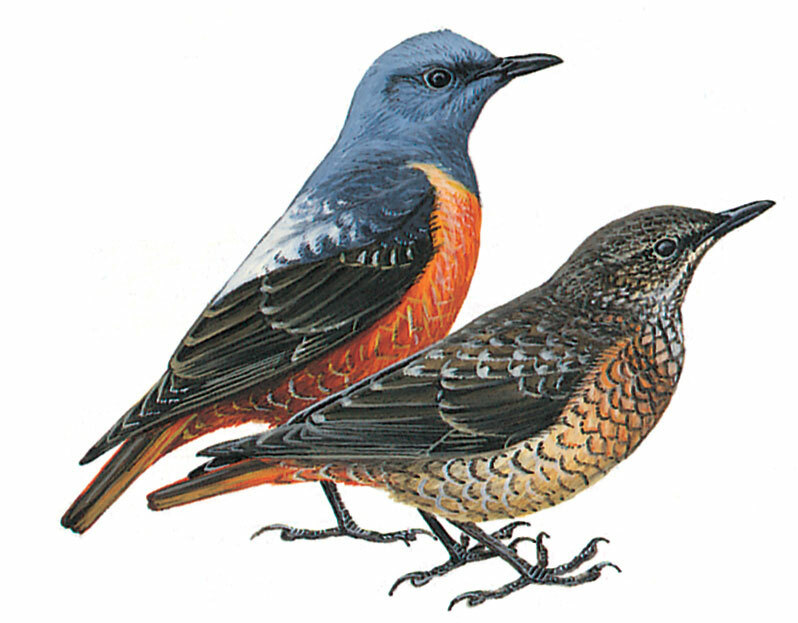 Female and 1st winter similar to winter male but browner, resembling female Blue Rock Thrush, but has pale spotting on upperparts and rusty tail.